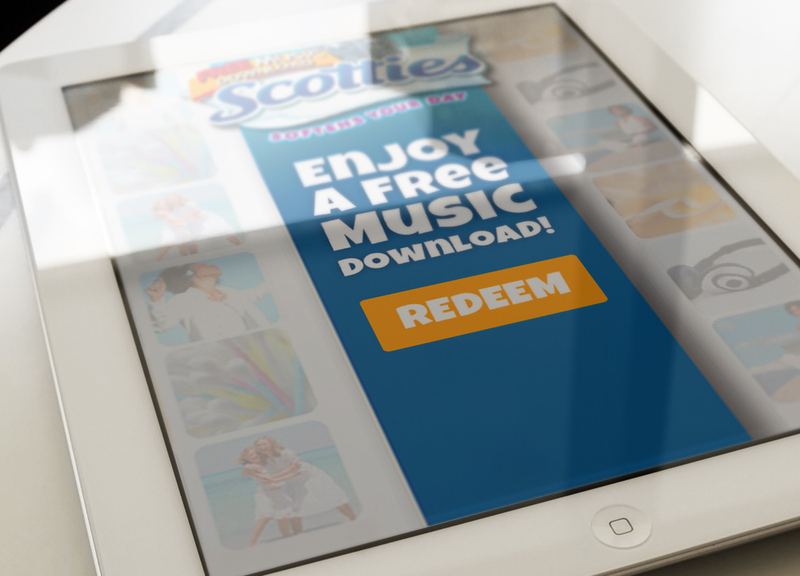 Scotties® wanted to drive sales and promote its product to new customers. They needed a campaign that was not only effective but was easy and cost effective to execute. 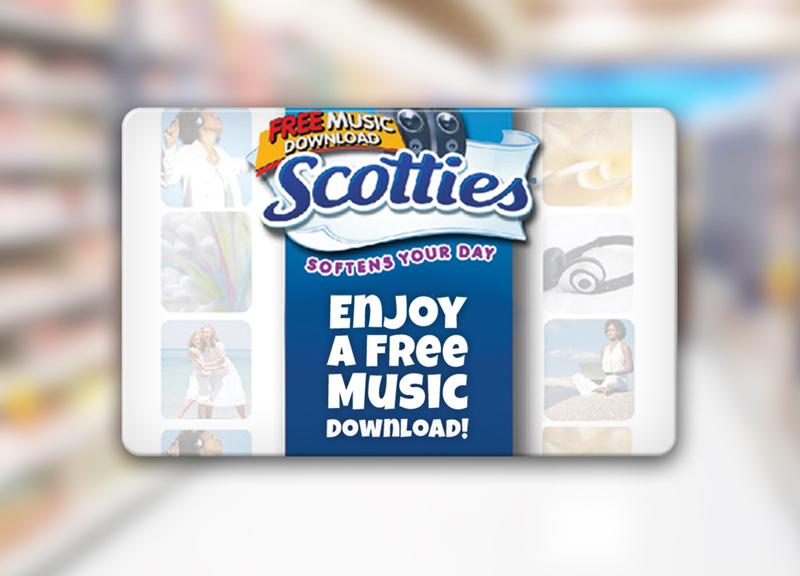 Two million specially-marked packages of Scotties Tissues rewarded customers with a FREE Music Download Code, printed directly on inside of the tissue box. In addition to increasing product awareness, customers who went online to redeem their free song also received coupons to use towards future purchases. The on-pack download code was the right solution for Scotties; it allowed them to create an attractive incentive that held real value for their customers, while printing the reward codes right on-pack kept distribution costs low.